For two weeks, Australia has been slammed with intense “natural” disasters. To the open-minded onlooker, the severity proves this is anything but natural. Choking dust storms, raging fire tornados, immense deluges and blistering heat waves have lashed Australia in recent days. Emergency crews and first responders have been fighting hard on multiple fronts. And many predict the upcoming summer will see conditions get even worse. It seems as though wherever you look, environmental disasters are increasing. Then the dust settles, the embers fade, the waters subside—and the blame begins. The culprit is always climate change. But can climate change really explain what is happening in Australia? In Queensland, more than 100 fires span 2,000 kilometers (more than 1,200 miles) of the state from north to south. The air is unusually dry for this time of year. High winds have fanned the flames. The fire danger has been at its highest level: catastrophic. The dry winds and high clouds lead to “dry lightning.” This leads to more fires. All this in the midst of a record-breaking heat wave. Meanwhile, on November 28, Sydney was hit with the worst rain event in 44 years. Flash flooding swamped roads and knocked out power to thousands of homes. At least three people died during and after the rain stopped falling. The deluge dropped on the city more than a month of rain in just two hours. The irony was that the rain came shortly after a major dust storm—caused by crippling drought further inland. Strong winds and a low-pressure system sent the 500-kilometer-long red cloud right into Sydney. Across the nation, crippling drought persists. Maximum temperatures for 2018 have been among the highest on record. Record-breaking November heat waves have been felt across the nation. Queensland endured the fourth-hottest November ever recorded, with meteorologists predicting a hot summer to come. This trend certainly doesn’t seem natural. Ambiguous “changes,” greenhouse gases and carbon emissions are the convenient excuses. It is the knee-jerk reaction for anyone reporting on the disasters. Rare is the report that suggests any other accountability. The occasional politician will scold the government for not doing enough to prepare. But who speaks out about individual and national accountability? The truth is that every Australian has a role in causing the heat, flames and floodwaters. I don’t mean failing to clean out your gutters or maintaining your firebreak. After all, we can’t predict such conditions, right? Let’s not kid ourselves. We still hold blame! It has nothing to do with greenhouse gases, but it has everything to do with our individual lives. 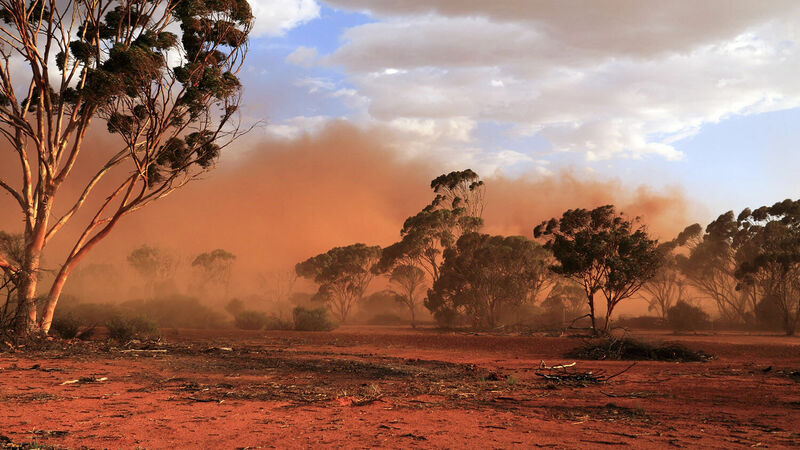 It doesn’t matter if the billowing dust cloud blanketing Sydney came from your farm or mine. But how can we be blamed for a dust cloud the size of Tasmania? How can we be held responsible for the “unusual” wind and updrafts that forced the cloud onto the city? Does that also mean we are responsible for the intense storms that hit the city this week? Yes. The everyday Aussie had a part in handing Sydney a month of rain in just two hours! The same goes for the wild supercells that bash our coastline this time of year. There is no denying that our weather is getting worse. The 2,000 kilometres of fire and the water lapping the windows is impossible to ignore. So rather than ignore it, we shift the blame to “climate change.” It is a critical mistake. Doing so shields us from the truth. We can atone for our part in climate change by buying reusable grocery bags or using mass transit. Simple. Our lives don’t have to change that much. Intentionally or not, by shifting the cause, we shift the blame. But this only adds to the problem! It is high time we acknowledge the real cause of “natural” disasters. Only then can we know how to stop them. Australia is cursed. No, not with a hex, voodoo doll or some form of wizardry. We are cursed by our Creator. Few Aussies would be receptive to such a message. Even religious people might laugh. Many do so because they cannot believe a loving God would curse His own creation. Daniel shows that we are cursed for disobedience to God’s law. “As it is written in the law of Moses, all this evil is come upon us: yet made we not our prayer before the Lord our God, that we might turn from our iniquities, and understand thy truth. Therefore hath the Lord watched upon the evil, and brought it upon us: for the Lord our God is righteous in all his works which he doeth: for we obeyed not his voice” (verses 13-14). Australia, Britain and America’s morals are on a downward trajectory. If you are honest, you can see it, too. Look at the destruction of the Christian family values that were once the bedrock of our society. Look at the immorality that permeates the entertainment industry. On a national level, legalized homosexuality and drug use are celebrated. Shocking crimes on the evening news are commonplace. All the while, we fail to solve the poverty, illiteracy and terrible vices that plague our world. Don’t you think God wants to correct these problems? Read Leviticus 26. It is one of the Bible’s “blessings and curses” chapters. God wants to bless us. He wants us to live full, abundant lives. “If ye walk in my statutes, and keep my commandments, and do them; Then I will give you rain in due season, and the land shall yield her increase, and the trees of the field shall yield their fruit” (verses 3-4). This is how we avoid the calamitous disasters inflicted on our nations. Substitute climate change for curses, and I couldn’t agree more! We can’t afford to ignore God’s curses. The result would be catastrophic. God is trying to wake us up, and He will intensify His punishments if He must. Foisting off the cause onto “climate change” won’t make our problems go away. Many people pray to God, but how many obey Him? If we do, God promises us blessings—both on the individual and national levels. “Seek good, and not evil, that ye may live: and so the Lord, the God of hosts, shall be with you, as ye have spoken” (Amos 5:14). God wants you to live! He wants every human to have an abundant life (John 10:10). Fires and floods have no place in the abundant life. Neither does a sinful and rebellious attitude. God warns that these crises will increase in the end time as man’s disobedience to God’s law grows. But you the reader can live the abundant life through obedience to God’s law of love. Soon Christ will return. The saints—those who are called into God’s Family, repent, believe and obey—will be there assisting Him.